GRAND RAPIDS, Mich. – For families on the go or anyone short on time and looking for quality and convenience, SpartanNash is excited to announce the launch of Fast Lane – the company’s click-and-collect program that provides a seamless online grocery shopping experience. 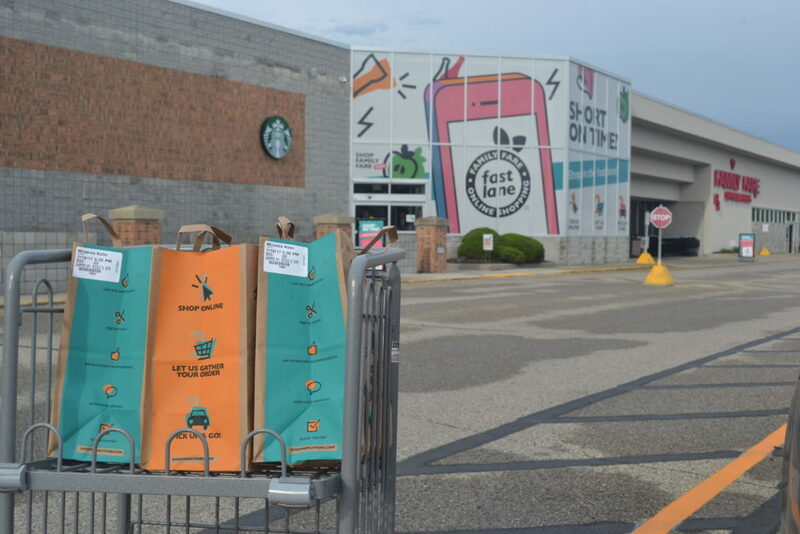 Store guests at the Grandville, Mich. Family Fare Supermarket can now join the Fast Lane by easily ordering their groceries online and picking them up curbside. SpartanNash will continue to expand Fast Lane over the next few years, growing to 25 stores in Michigan in 2017 and up to 50 stores in the company’s nine-state footprint in 2018. The next West Michigan stores to join Fast Lane will be announced in the coming weeks. To celebrate the launch of the click-and-collect experience, SpartanNash is waiving the pick fee for customers’ first three Fast Lane orders using the code “FASTLANE”. Annual memberships for Fast Lane are $99 per year, and monthly memberships are $16.95 per month. Individual orders of any size can be placed at familyfarefastlane.com for a $9.95 pick fee, which is waived under annual or monthly memberships. Orders are then shopped by a team of Fast Lane personal shoppers, who focus on selecting quality items from each aisle of the store. Store guests can also include notes for Fast Lane shoppers to follow, allowing them to request green bananas, thick-sliced ham from the deli or the expiration date on their milk. All orders placed at familyfarefastlane.com before 3 p.m. will be available for same-day pickup. The personal shoppers are also Family Fare associates, allowing the company to own the experience from start to finish and enabling personal shoppers to build relationships with Fast Lane customers.